New Mexico This forum is for events, get togethers, and trail runs in the state of New Mexico. 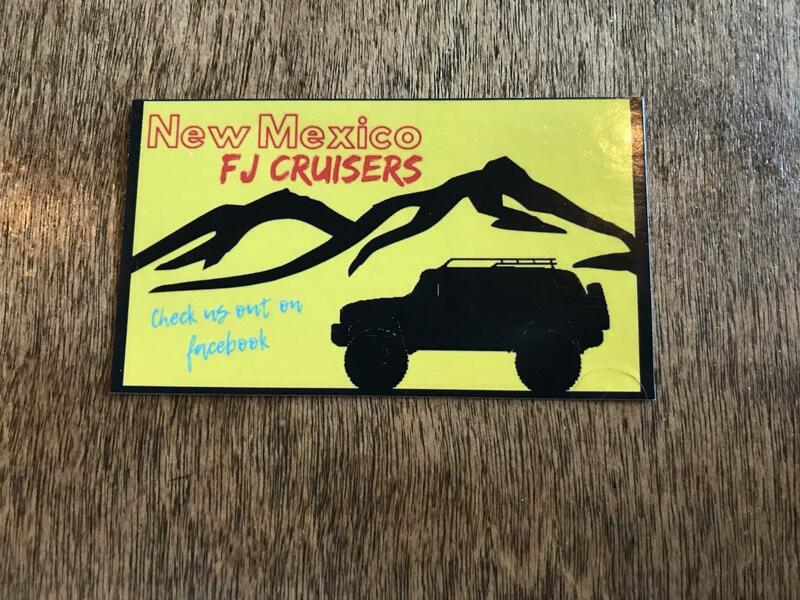 Toyota FJ Cruiser Forum > Regional Forums > South West Region > New Mexico > Someone left this business card on my window? Someone left this business card on my window? Is this a subgroup of the FJ Cruiser forum? My silver 07 with Smittybuilt RTT was parked at ABQ Sunport. Re: Someone left this business card on my window? Nice! If I had to guess, it may be forum member @NyNomad who is down in New Mexico. He started the New Mexico FJ Cruisers FB page so I would imagine the card is his.